My name is Rose and I am a Canadian freelance writer. I create exciting new gluten-free recipes that can easily be made with regular ingredients. Oh and I love to dabble in the humour niche. For a sorted directory of my recipes: RoseWrites.netboard.me Love to write too? Join me on here on InfoBarrel. I'm surprised no one thought of it sooner. Traditionally, nanaimo bars contain walnuts, but I made it with crunchy WowButter instead and it was fabulous. If you haven't heard, WowButter is the peanut-free answer to peanut butter. 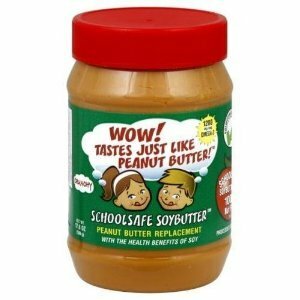 In fact, it's healthier than peanut butter. Since I'm allergic to seafood, I am relieved that it is a complete protein and an excellent source of essential omega-3 fatty acids. More importantly, my daughter loves it. I've made numerous healthy meals with it. WowButter blends beautifully into sauces and is an easy 1 for 1 substitute in baked goods. I loosely based my recipe on one I found at Kraft Canada online. I used Kinnikinnick Gluten-Free Graham Crumbs, but if you aren't on a gluten-free diet, regular graham cracker crumbs will work just fine. By substituting WowButter for walnuts, I was able to cut back on the butter the original recipe called for. Coconut is actually a fruit (even though the FDA classifies it a tree nut). The good news is that most people with a tree nut allergy can safely consume coconut. One cautionary note about coconut flakes: they are sometimes processed on shared equipment lines as peanuts, tree nuts, or other gluten-containing foods. As such, I rely on Let's Do Organic brand of unsweetened coconut. I prefer finely shredded for baking. The original recipe called for 2 tbsp. of Bird's custard powder (if you choose to go that route) but be aware that Bird's custard powder is not gluten-free. Instead, I used European Gourmet Bakery: Organics Vanilla Cooked Pudding & Pie Filling Mix (formerly known as Dr. Oetker). I didn't bother adding vanilla extract to the crust, since the pudding mix already packs a strong enough vanilla flavour. Instead of regular milk, I used unsweetened evaporated milk for a thicker, creamier taste without the extra fat. It's up to you, but I chose to use a combination of cornstarch and pure icing sugar to thicken up the middle pudding layer. I tried it with just icing sugar and found it too sweet. For those of you trying the mocha version (with Kahlua and instant coffee), if you are on a gluten-free diet, I need to caution you. According to Jane Anderson, a Celiac Disease & Gluten Sensitivity Expert, Kahlua is generally considered gluten-free. I've had no problems. But, she advises: "The liqueur contains gluten grain-based alcohol, which causes symptoms in some of us." Anderson advises using caution if you've never tried Kahlua - particularly if you have symptoms after consuming other gluten-grain-based alcohol (such as "de-glutened" barley beer or most types of bourbon and gin). Before you start, put your can of unsweetened evaporated milk in the fridge. It will help the cornstarch dissolve. Credit: RoseWrites on InfoBarrel / All rights reservedEnsure your oven racks are adjusted so that your Nanaimo bars will bake in the center of your oven and preheat to 350 F (175 C). Some people line their pans with foil (but I find using parchment paper much easier). In a large, microwave-safe bowl, nuke 3 oz. of Baker's chocolate OR 1/2 cup chocolate chips and 1/4 cup butter on medium for 30 secs to 1 min (or until butter is melted). TIP: Check after 30 seconds and then at 10 second intervals, until almost melted. Credit: RoseWrites on InfoBarrel / All right reservedStir until chocolate and butter are thoroughly incorporated. Then add WowButter and a lightly beaten egg and combine well. Next, slowly mix in graham crumbs, unsweetened shredded coconut, and press mixture into the bottom of a large casserole dish. You can use either a 2 or 3-quart Pyrex baking dish. Bake for about 7 - 9 minutes and allow to cool completely. Credit: RoseWrites on InfoBarrel / All rights reservedIn the meantime, make the custard mixture. I used a gluten-free vanilla pudding mix instead of Bird's custard powder. Each packet of vanilla pudding required 2 cups of milk, however I found a can of unsweetened evaporated milk kept this layer tastier and thicker. TIP: Mix cornstarch with a little cold unsweetened evaporated milk first, it will be less apt to form lumps. Add your cornstarch and icing sugar a bit at a time (and taste test it along the way). This layer will harden in the fridge but will taste the same. Mocha option: add your Kahlua and instant coffee to this layer, if desired. You will probably need more cornstarch to thicken it because of the Kahlua. Place pudding mixture in fridge for 45 min - 1 hour. (I find my crust needs this long to cool anyways). Credit: RoseWrites on InfoBarrel / All rights reservedOnce your graham-WowButtery crust is cooled, spread vanilla (or custard) mixture evenly over it - smoothing the top as best you can. Cover with plastic wrap and place in the freezer for at least 1.5 hours to "set" and harden. TIP: Instead of spreading the pudding layer, I just tipped my Pyrex pan and let gravity do the work (keeps the top smooth). Lastly, microwave remaining baker's chocolate with 2 - 3 tbsp. butter for 40 seconds to 1 min, but check after 20 seconds and continue to microwave for 10 second intervals until chocolate is almost melted. NOTE: If you are using chocolate chips, you won't need to add any butter. Spread melted chocolate over the vanilla pudding/custard layer and place back into refrigerator. You will need to wait at least 2 hours until you can cut them into bars. TIP: Scoring the top of the chocolate after chilling it for 20 minutes helps prevent cracks in the top layer when serving. I pour boiling water over the blade of a sharp knife before I slice it into portions. Crunchy WowButter is perfect for Nanaimo bars. It tastes slightly sweeter than crunchy peanut butter. WowButter is 100% peanut-free, tree-nut free, gluten-free, and dairy-free. It has a low glycemic index and is a complete protein. Ingredients: select non-GMO toasted soy, soy oil, granulated cane sugar, monoglyceride (from vegetable oil), and sea salt. Thanks Leigh, I'm making them right now and will be adding more photos today. They are wonderful (and about as healthy as it gets). Mmm, would love to taste this.